RAL Strawberry red Glass Splashback. We offer a sample product to help you see your colour on glass. 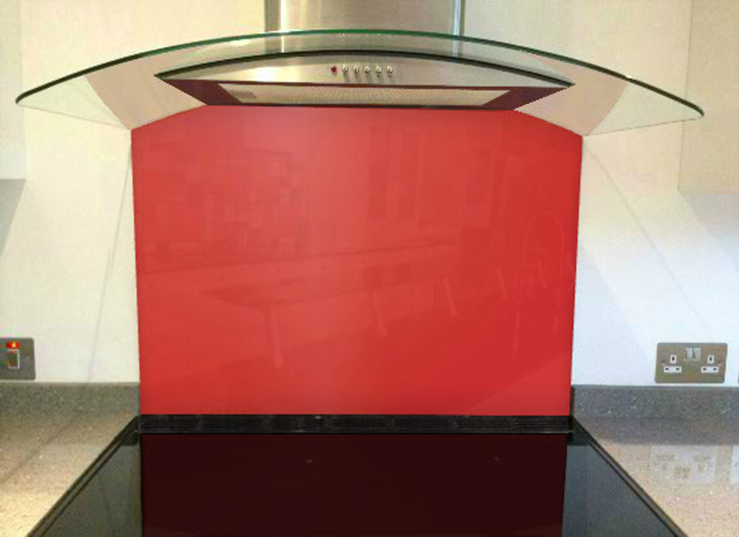 To order a RAL Strawberry red glass splashback sample please click here. If you have not decided on the colour for your walls or cabinets then that may be the best place to start. 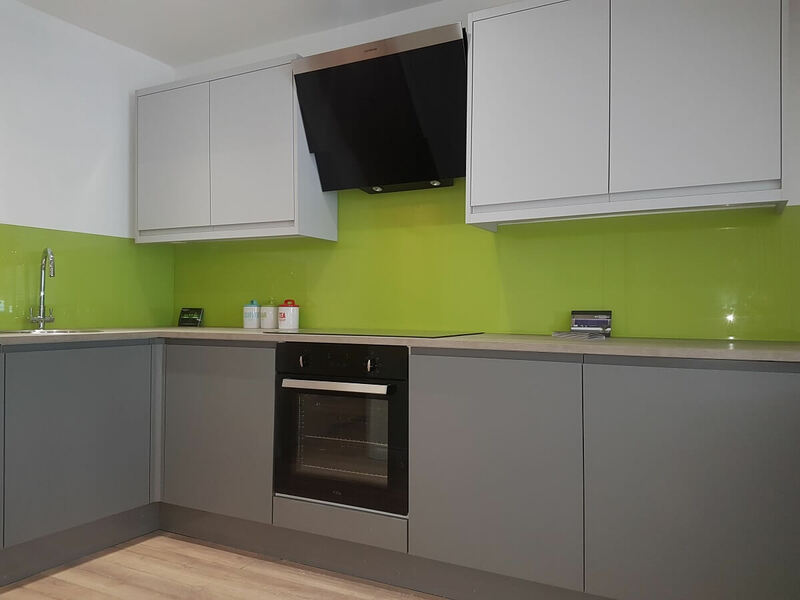 Would you like your RAL Strawberry red Splashbacks to complement or contrast your walls for example? 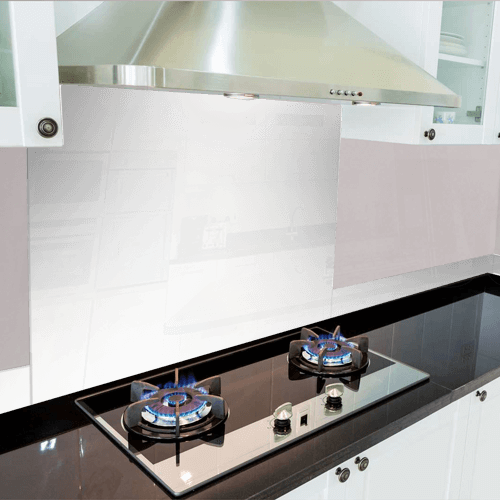 This image shows two RAL Strawberry red glass splashbacks meeting in a corner, under your kitchen cabinets.